The many folders in Windows Explorer 10 can already be quite confusing, but you can individually customize the folder tree in the navigation area ! Please start the Windows 10 MS-Explorer for example with the key combination Windows logo + E and click on the Register card view, and then click the folder options! 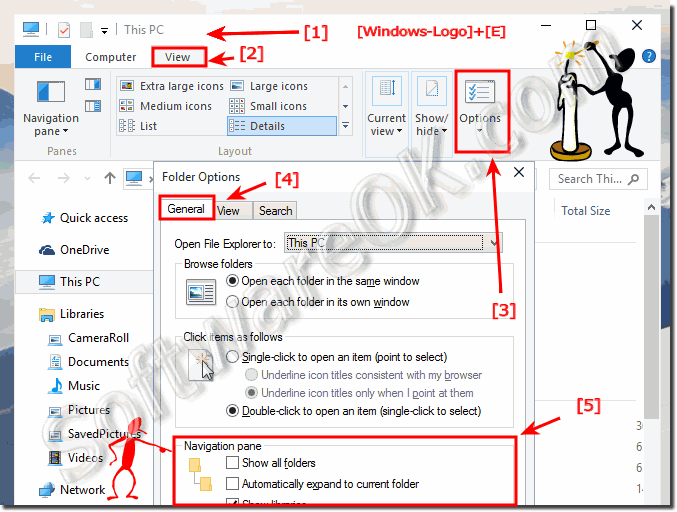 (Image-1) Windows-10: folders in the Explorer folder tree why! Windows-10 - FAQ-79: So many folders in the directory tree in Windows 10 Explorer, why?